Like many of us, I am a multi-faceted human being with varied interests. I am a book coach, a Certified Life Coach (CLC), a Certified Transformational Coach (CTC) and a Certified Solution Focused Coach (CSFC) who studied at the Universal Coach Institute. My passion is to help you reach your goal and live the life you were meant to live. That passion shows in my work and the results that my clients achieve. I am also a lifelong student who believes in continually upgrading my skills, knowledge and tools so as to better serve you. To that end, I am a graduate of Todd Herman's award winning productivity program "The 90 Day Year" and Marie Forleo's B School. 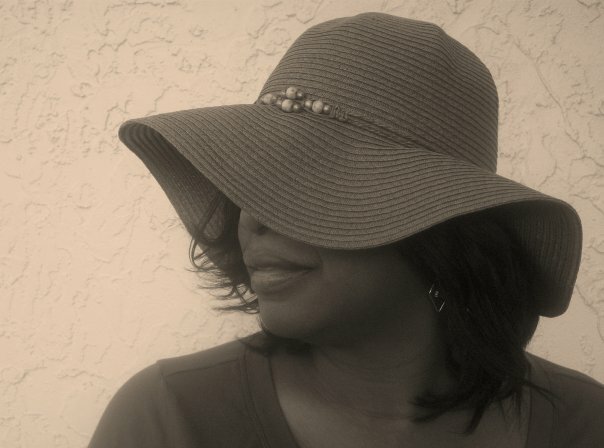 I am a published novelist who writes romantic suspense and flat out suspense novels under the pen name L.J. Taylor. That's my official author photo there with the hat. My first novel, "Just Dreams" was a lifelong dream that became a reality when I published the book in 2014. It enjoys a 4.5 star rating on Amazon and is available in e-book, paperback and audiobook formats on Amazon, Barnes & Noble, iTunes and Kobo. Since 2014, I've published two additional novels and just had my second book - "Dreams Deferred" (the sequel to "Just Dreams") - made into an audiobook. I plan to write and publish non-fiction books designed to help you (my coaching clients) achieve your goals under my legal name. If one of your goals is to write and publish a book to further your career, establish yourself as an expert, or fulfill a lifelong dream, I can help you get that done. In addition to being a novelist and a certified coach, I am an attorney licensed to practice law in the State of Florida, a certified Civil Circuit, Family and Appellate Mediator, a bankruptcy and mortgage modification program mediator, and an arbitrator with the American Arbitration Association. I am a graduate of Vassar College and received my law degree from the University of Pennsylvania Law School. I spent the first 22 years of my practice at an international law firm where I made partner in 2001. In 2014, I left to start my own mediation firm and to publish my novels. I am a happy divorcee, a super aunty, a big sister, a daughter, a lover, a friend, and a woman who loves action movies, dark chocolate, thrillers and romantic suspense novels, music festivals, dance, travel, writers conferences, and spending time with my family. Click the button to sign up for a complimentary clarity consultation. During our consultation, you and I will: (1) develop a clear vision of the goal you desire to achieve; (2) discover the hidden obstacles currently blocking your path; and (3) develop a map for how we will take you from where you are to where you would like to be. You will leave the session energized and ready to get to work on your dream. Let's go.